Get the data. Ask your sales associates to log every customer request and to question further to get at the heart of what they need. Train sales associates to record information such as the date of request, item requested, and the reason the item was unavailable. Lost sales are lost opportunities. By getting a better grip on your customers’ needs, you can build a stronger bottom line. 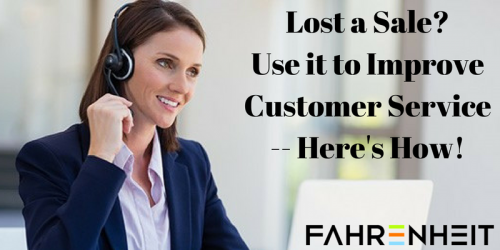 Please contact The Fahrenheit Group for help creating and maintaining a lost sales tracking system that best suits your company’s distinctive needs.